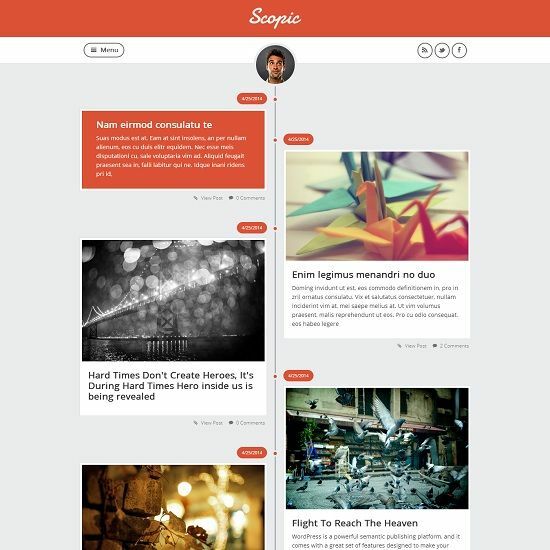 Scopic is a clean, new kind and unique design layout based on Facebook timeline. It has lots of open space with image thumbnail and content that represents your website best. Ideal for art, portfolio, personal and photography websites. Great template! I would like to use this template for my blog. Can you please tell me how to change the guy’s picture in circle on the top. Also, how to add links to my social media on the top right buttons. Let me know if you face any issues further. But I have a question, where do I change the width of the posts?